BOSTON, October 16, 2013 – The systems design and integration experts at Clearwing Productions last year overhauled the Phoenix Zoo’s annual seasonal spectacular “ZooLights,” transforming a linear roadside display into an immersive, 360-degree audio and lighting experience that encircled the zoo’s central water lagoon. The advanced audio system from Technomad performed so well that zoo officials opted to use the system year round, delivering multi-zone background and event music to visitors across the lagoon area. 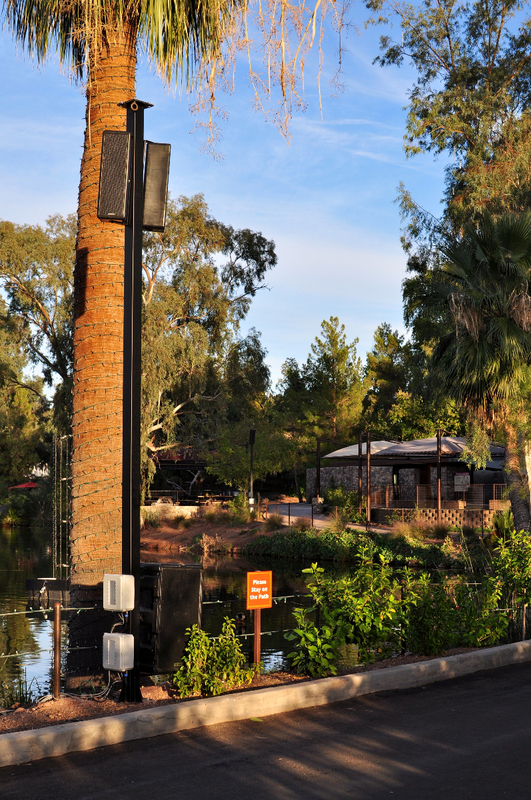 The Phoenix Zoo initially hired Clearwing Productions to increase the production value of the annual lighting show, though the two teams quickly determined that the audio system was underperforming ­– not to mention falling apart. Technomad delivered an advanced outdoor audio solution comprising 24 loudspeakers, 12 subwoofers and multiple wired power amplifiers, all fully weatherproof to protect against UV rays and other outdoor elements. 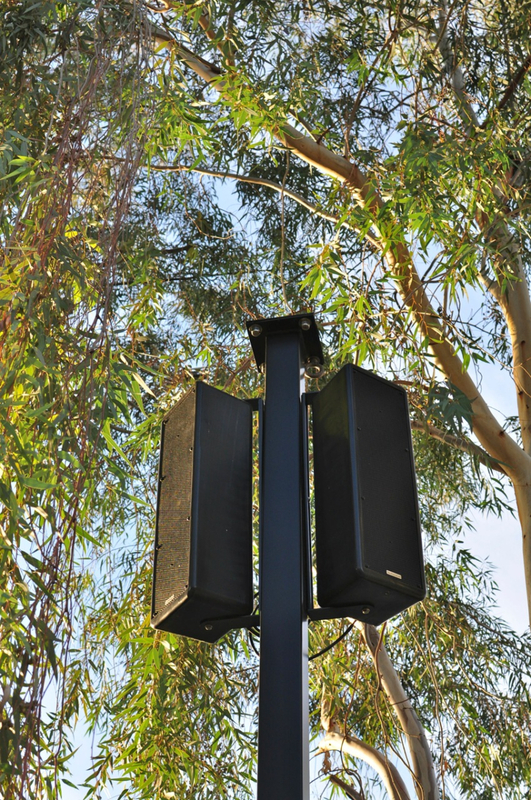 The Clearwing design included 12 speaker poles surrounding the lagoon, each with two Paris weatherproof loudspeakers pointing in opposite directions from a height of 16 feet. One Technomad Chicago subwoofer and two PowerChiton amplifiers were added to the base of the pole. The PowerChiton amplifier modules simplified the installation for the Clearwing team and ultimately reduced project costs for the Phoenix Zoo, eliminating lengthy complex underwater wiring jobs to connect traditional indoor amplifiers to outdoor loudspeakers. The end-to-end distributed audio architecture includes Harman or BSS equipment to route, zone and delay signals for everyday use or special events as required. Network protocol signals are converted back to balanced audio en route to the PowerChitons. From there, the Paris loudspeakers deliver full-range musical reproduction with broad dispersion across the entire lagoon, with the Chicago subwoofers filling in the low end with additional bass output.